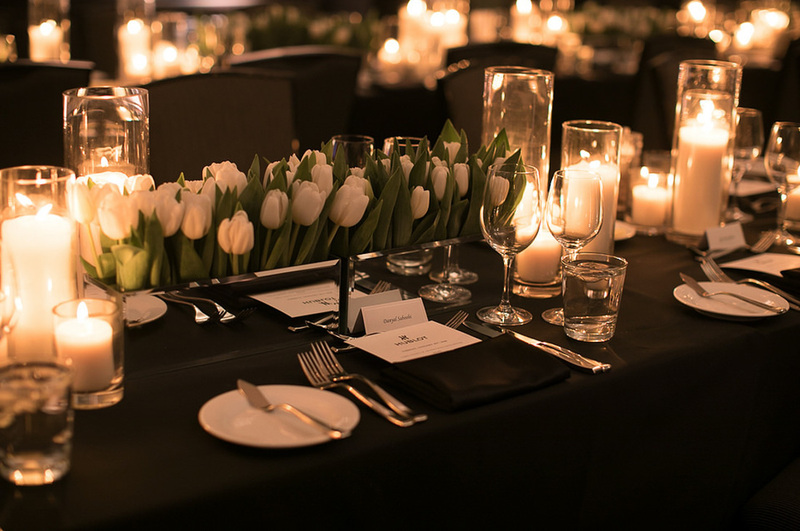 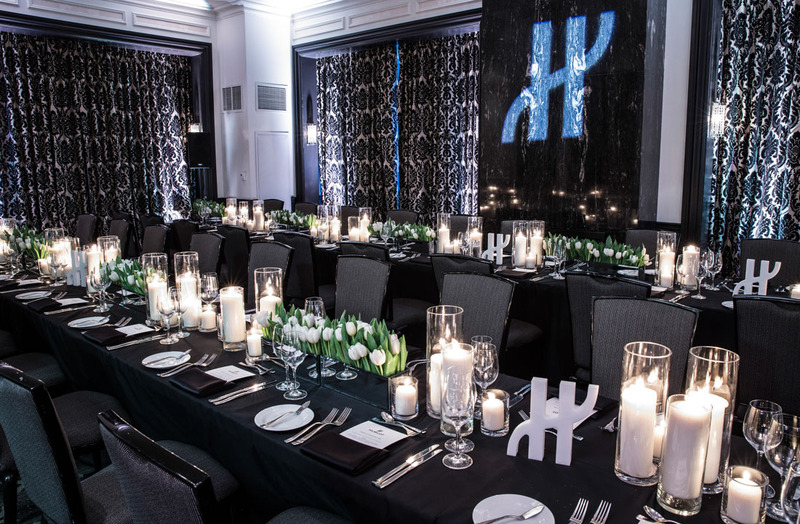 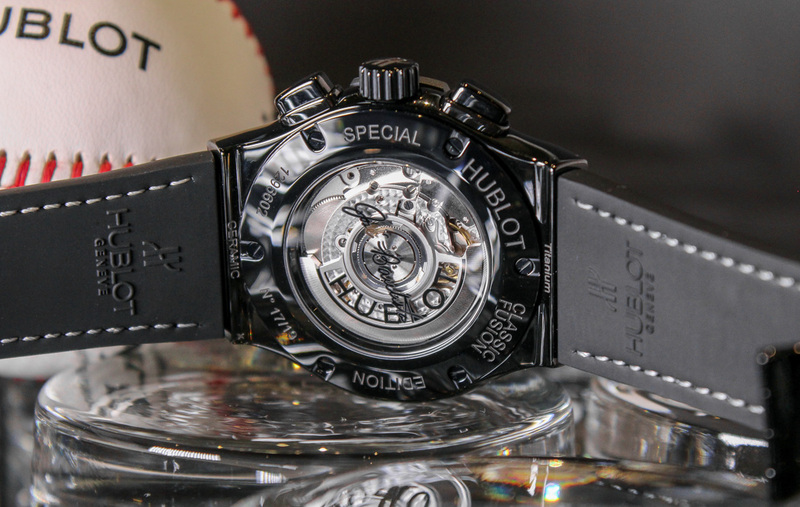 After throwing the doors open to its first flagship boutique north of the border in late September, Hublot seems committed to investing time and resources in expanding their reach in the Canadian market. 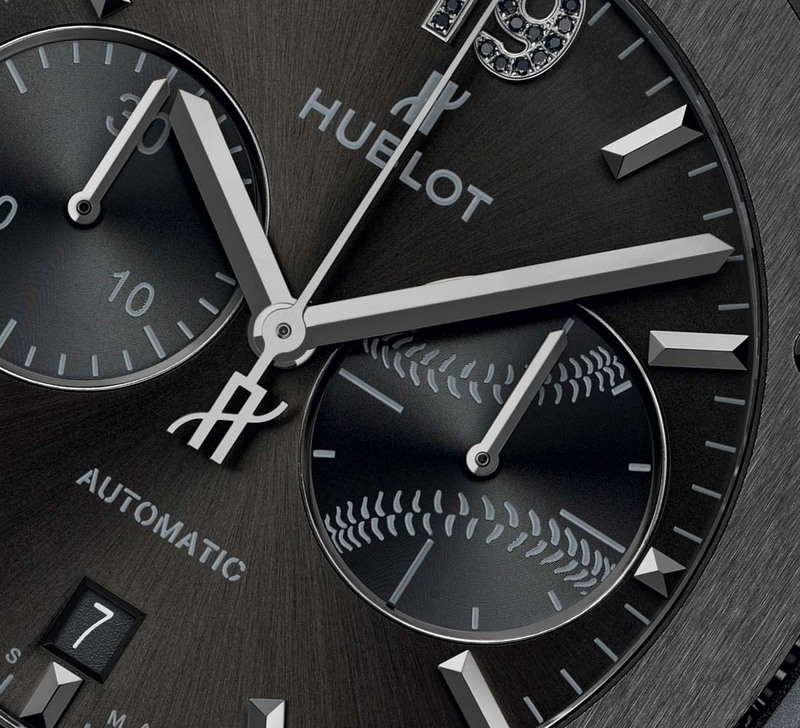 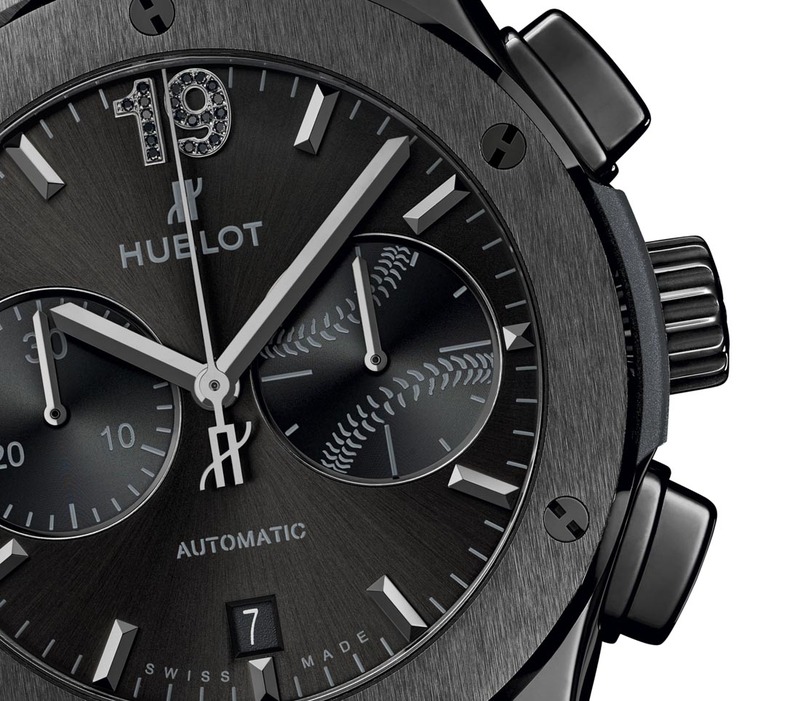 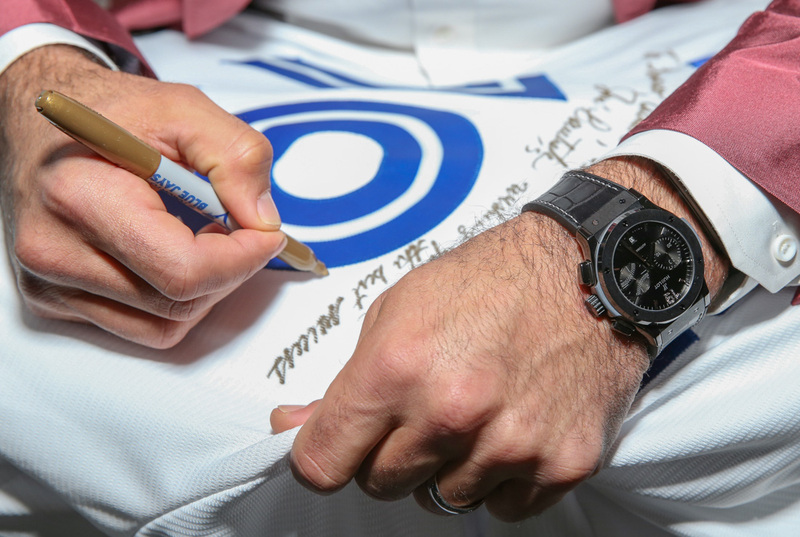 The next step in this drive for expansion appeared in the form of a new limited edition release: the Hublot Classic Fusion Chronograph Special Edition Jose Bautista. 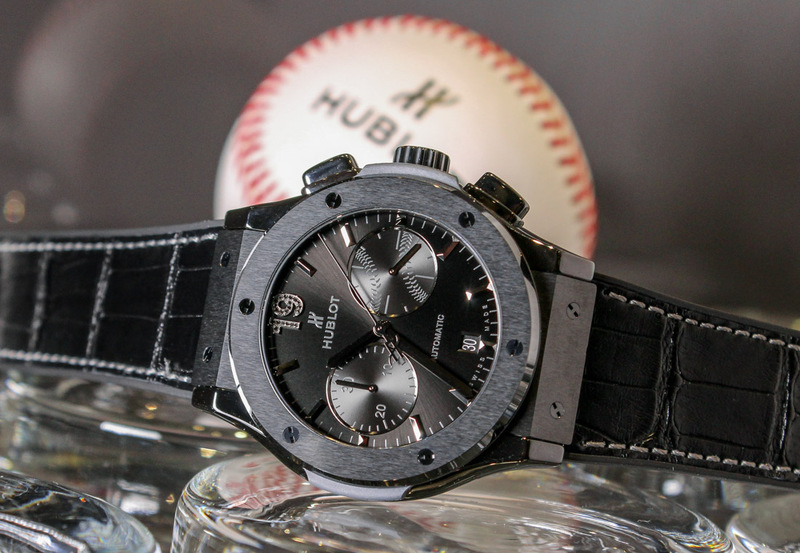 The Toronto Blue Jays veteran has been a sporting icon for the city for nearly a decade, making him the perfect candidate to join Hublot’s growing roster of athletic ambassadors. 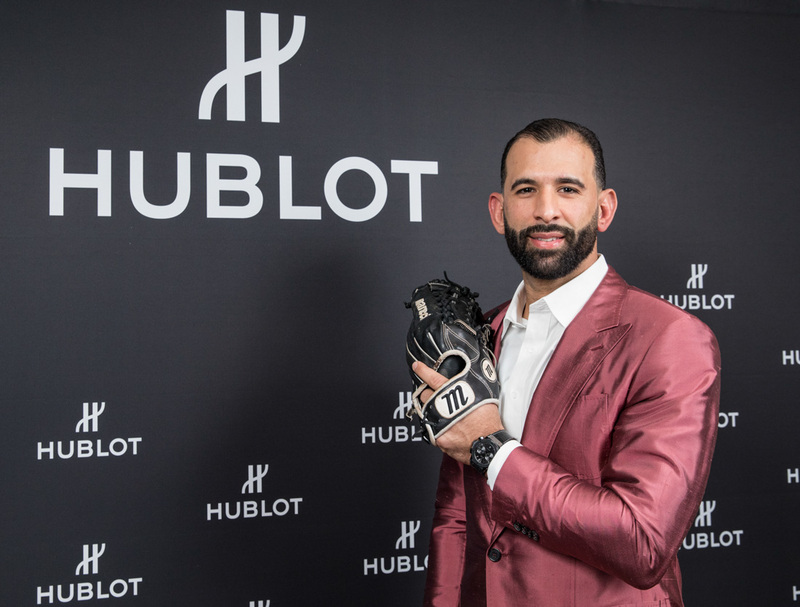 When it came to designing the new release, the brand states that Bautista had some level of involvement in its design – though exactly how much is unclear. 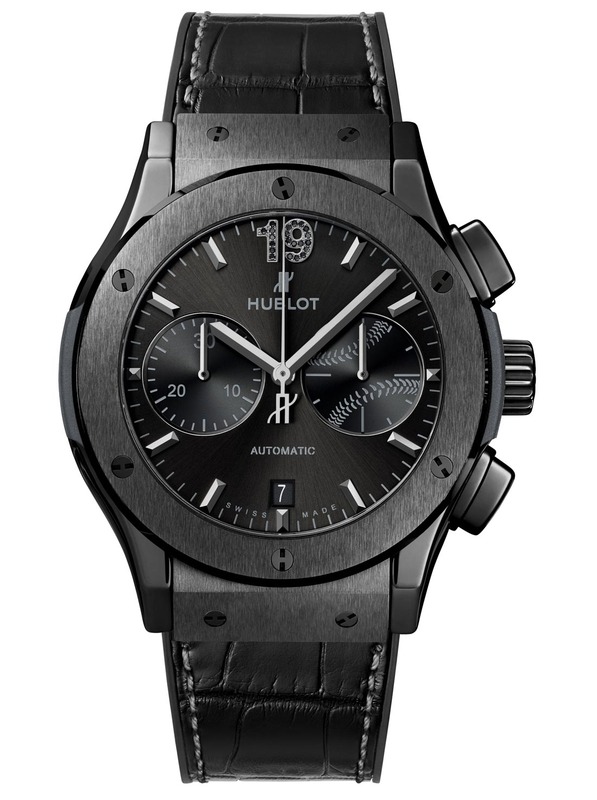 At a basic level, what we have here is an altered version of the Classic Fusion Magic Black, with its primary changes being to its dial, caseback, and strap. 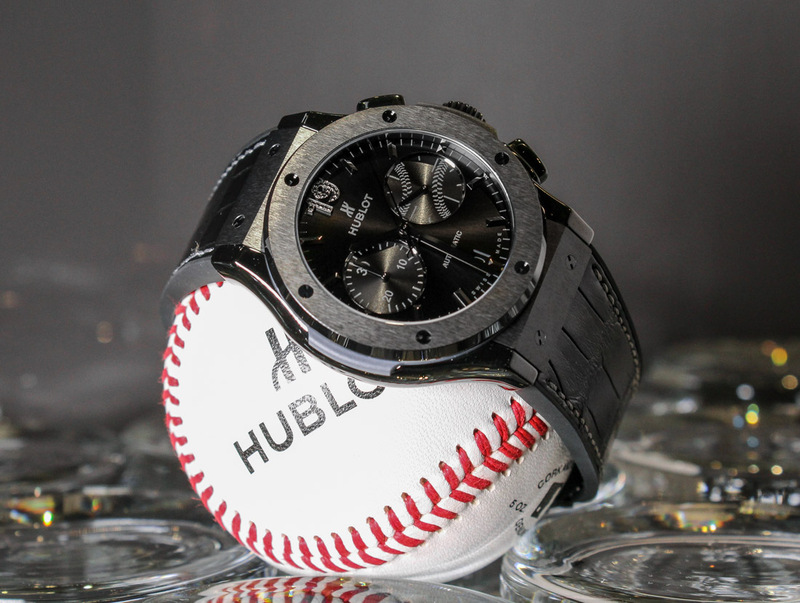 On the list of tastefully executed special edition dials, we have to give Hublot credit for not going overboard on the theme here. 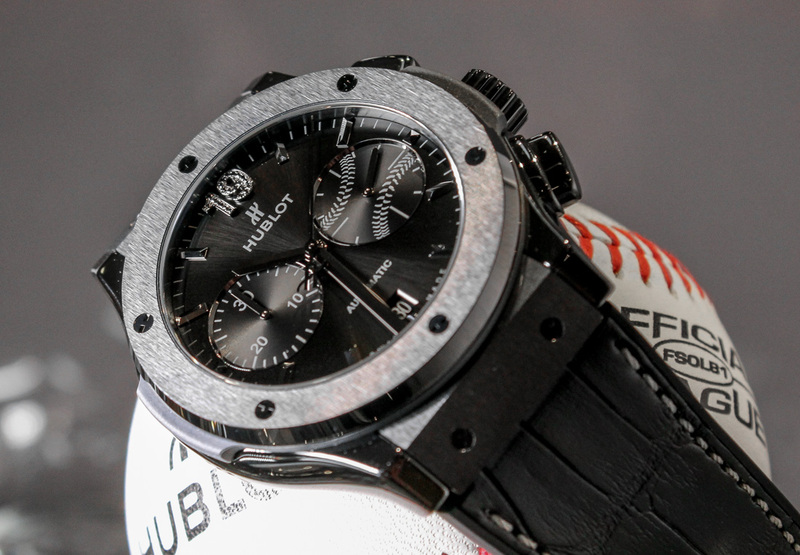 Bautista’s jersey number, number 19, is displayed prominently at 12 o’clock (for some odd reason), set in black diamonds, and its running seconds sub-dial is altered to look like a baseball, featuring light grey stitching against its satin sunray finished black dial. 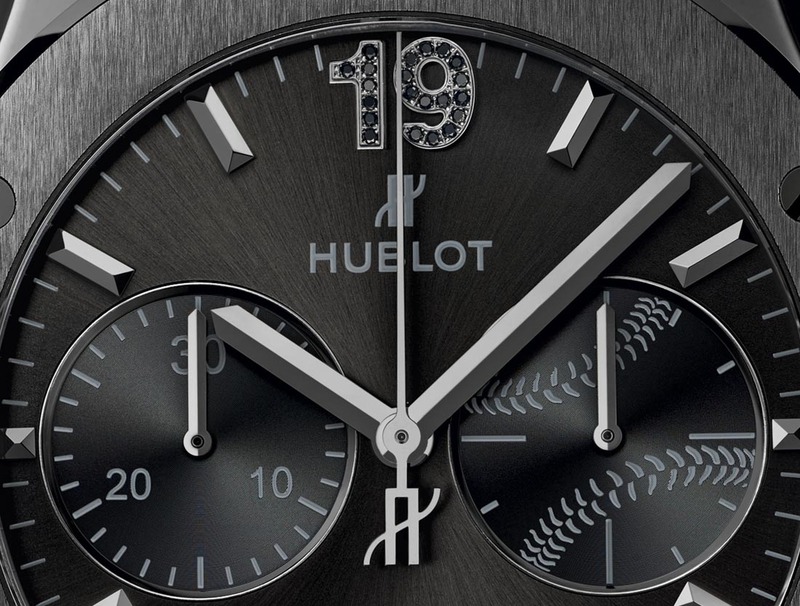 We would have thought it more logical to place the number 19 at the seven o’clock position (19:00 on a 24h scale), however with the target audience for this piece being baseball fans more than watch geeks, I don’t exactly see this being a deal-breaker in many, if any cases. 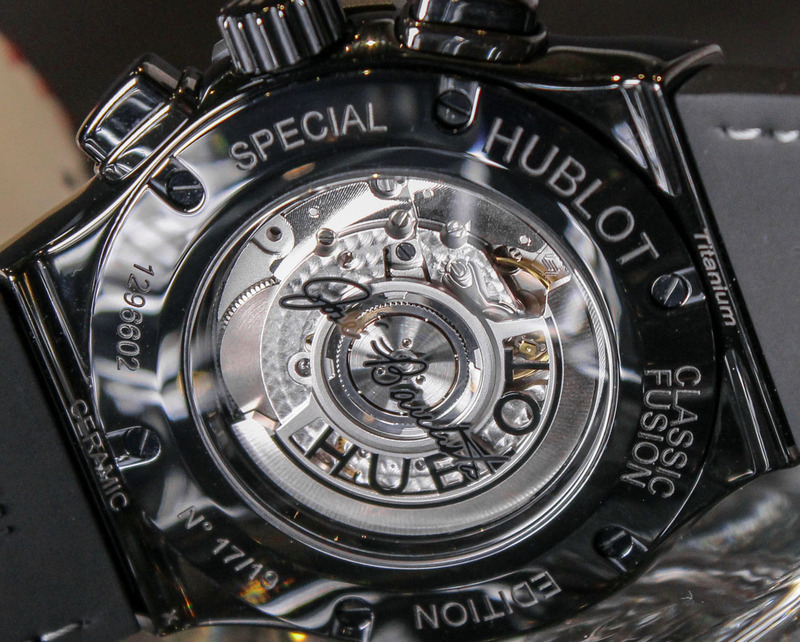 Mechanically speaking, the piece is still powered by the Caliber Hublot HUB1143 self-winding chronograph movement, good for a power reserve of 42 hours. 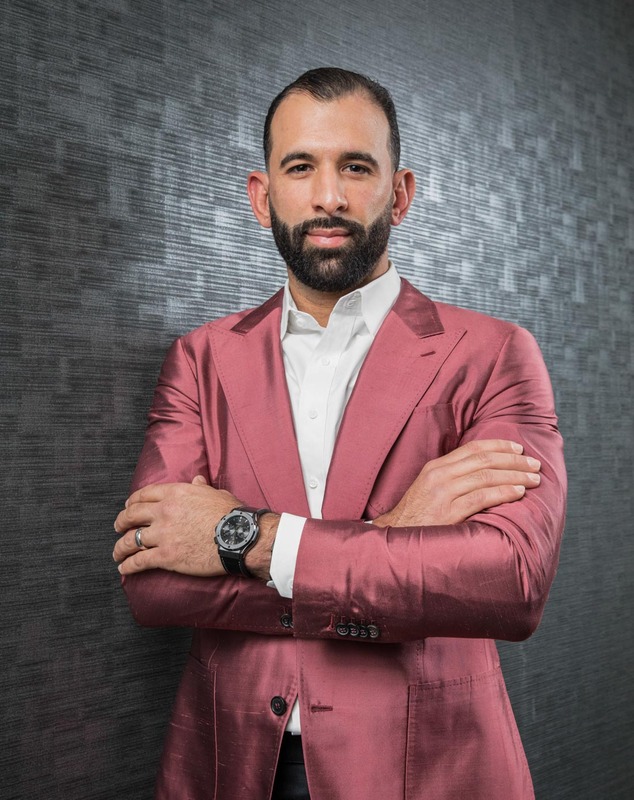 In our brief chat with Bautista, it turns out that the beloved #19 has had a bit of an interest in watches since long before Hublot came knocking. 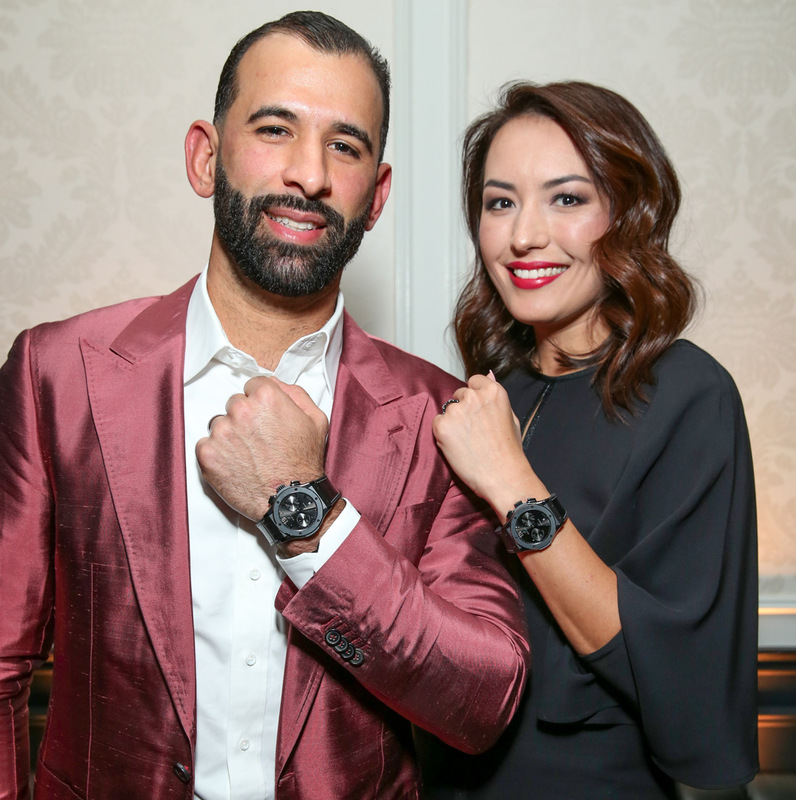 “I started with some more affordable stuff in my earlier years (as many of us have) but lately I’m up to about 22 or 23 watches in total,” stated Bautista with a bit of a grin. 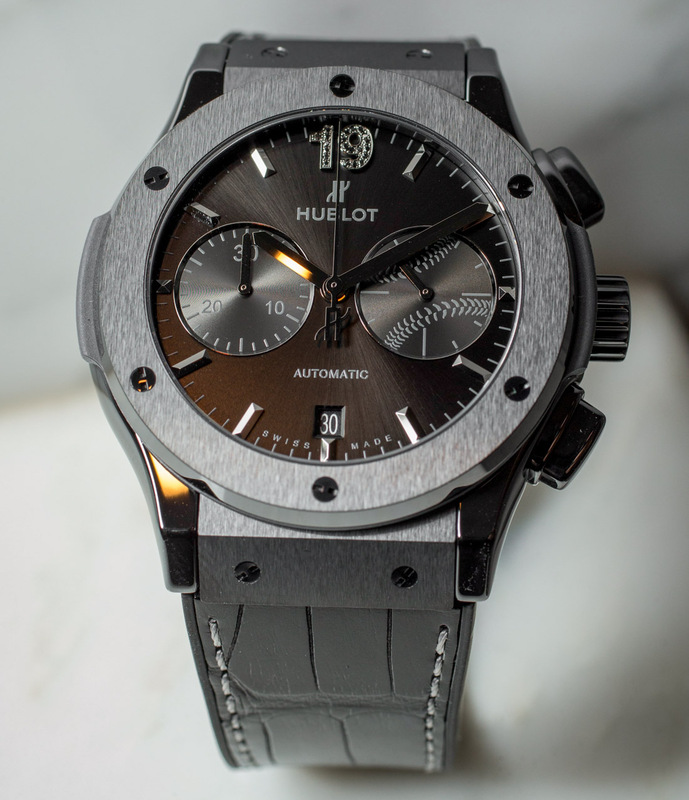 “I had 3 or 4 Hublot watches by the time a mutual friend introduced me to some folks from the brand, and before long they invited me to the manufacture for a tour. 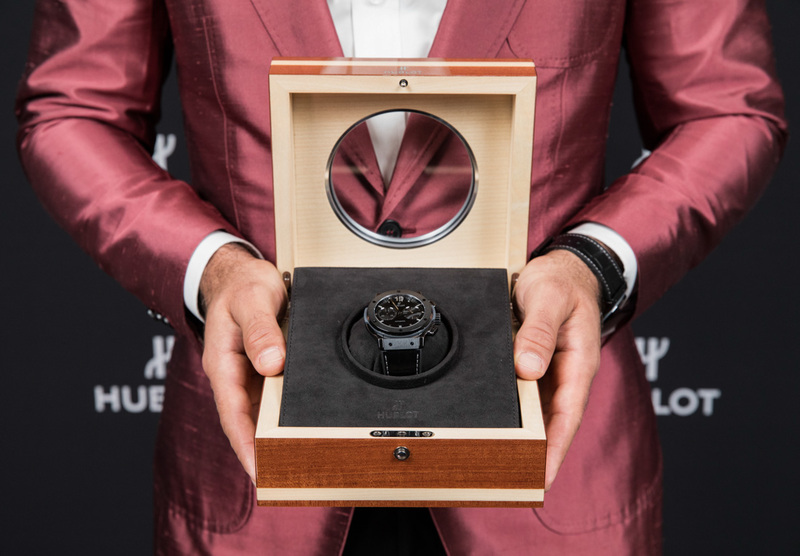 It was just a really great experience to get a better idea of the complexity and the craft involved in making watches, and it made me appreciate them, and the brand, that much more.” With his support team close at hand, there was to be no poking and prodding to see what other watch brands were in his personal collection, and scouring Google images also proved somewhat futile. 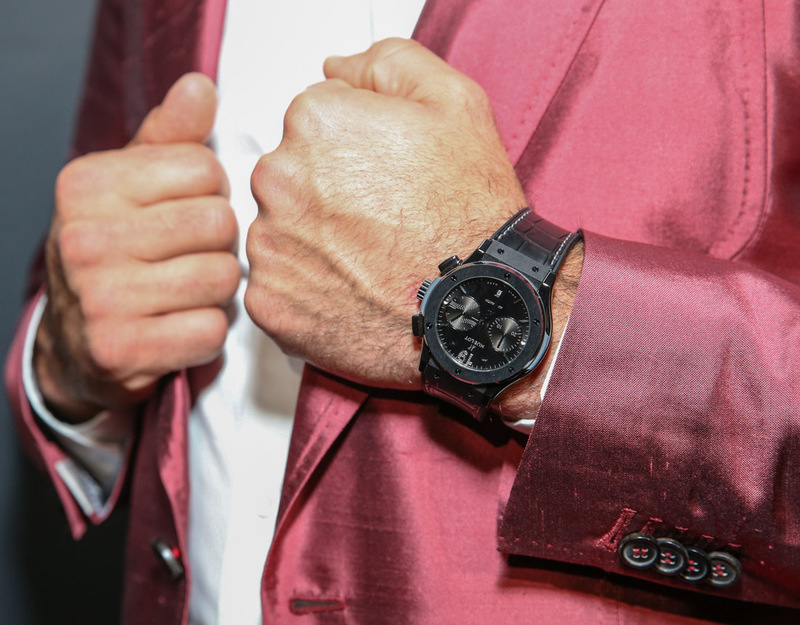 That said, given the interest and enthusiasm in talking watches for but a brief moment, we don’t doubt there are at least a few interesting gems in there.